Choose 3 of the opponent's benched Pokemon. Place them on top of your deck. 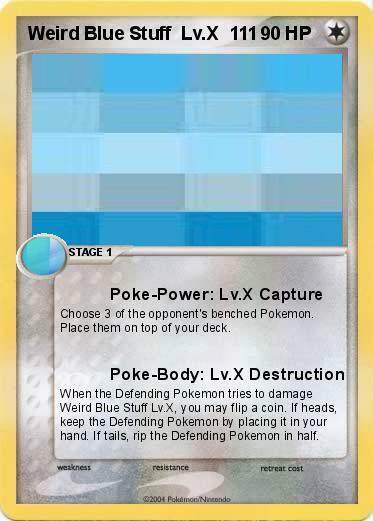 When the Defending Pokemon tries to damage Weird Blue Stuff Lv.X, you may flip a coin. If heads, keep the Defending Pokemon by placing it in your hand. If tails, rip the Defending Pokemon in half.